Comparative Hungarian Cultural Studies. 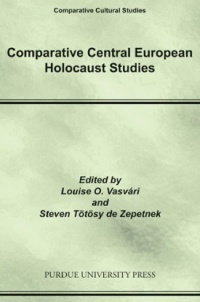 The studies, edited by Steven Tötösy de Zepetnek and Louise O. Vasvári, are intended as an addition to scholarship in (comparative) cultural studies. More specifically, the articles represent scholarship about Central and East European culture with special attention to Hungarian culture, literature, cinema, new media, and other areas of cultural expression. On the landscape of scholarship in Central and East Europe (including Hungary), cultural studies has acquired at best spotty interest and studies in the volume aim at forging interest in the field. Purchase the book on AHF's Amazon Store! nobilitashungariae: List of Historical Surnames of the Hungarian Nobility (A magyar történelmi nemesség családneveinek listája). The list was compiled and edited by Steven Tötösy de Zepetnek and is updated periodically. The list, containing tens of thousands of surnames, is based on published historical genealogical sources. West Lafayette: Purdue University Press, 2010. ISSN 1923-9580. [download the compilation] to PDF for free! Comparative Central European Holocaust Studies. 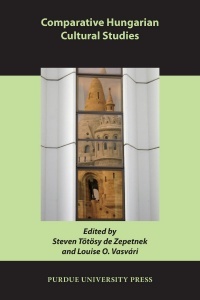 The work, edited by Louise O. Vasvári and Steven Tötösy de Zepetnek and presented in the volume in fields of the humanities and social sciences is based on 1) the notion of the existence and the "describability" and analysis of a culture (including, e.g., history, literature, society, the arts, etc.) specific of/to the region designated as Central Europe, 2) the relevance of a field designated as Central European Holocaust studies, and 3) the relevance, in the study of culture, of the "comparative" and "contextual" approach designated as "comparative cultural studies." Papers in the volume are by scholars working in Holocaust Studies in Australia, Germany, Hungary, Israel, Serbia, the United Kingdom, and the US. Purdue University Press, 2009. ISBN 9781557535269. 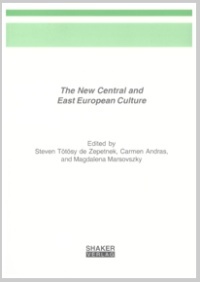 The New Central and East European Culture is a collection of selected papers presented at an international conference, "The Cultures of Post-1989 Central and East Europe" organized by the editors in 2003 -- Steven Tötösy de Zepetnek (Boston & Halle-Wittenberg), Carmen Andras (Târgu-Mureş/Marosvásárhely), and Magdalena Marsovszky (München & Budapest) -- as well as papers submitted for publication in the volume following an open call for papers. Imre Kertész and Holocaust Literature. The first English language volume on the work of the 2002 Nobel Laureate in Literature contains papers by scholars in Canada, Croatia, France, Germany, Hungary, New Zealand, and the USA, as well as historical papers about the background of the Holocaust in Hungary. Articles in the volume are "Imre Kertész and Hungarian Literature" by Enikö Molnár Basa, "Jewishness in Hungary, Imre Kertész, and the Choice of an Identity" by Sara Cohen, "The Aporia of Imre Kertész" by Robert Eaglestone, "Imre Kertész, Hegel, and the Philosophy of Reconciliation" by Amos Friedland, "Identities of the Jew and the Hungarian" by András Gerı, "Representing the Holocaust, Kertész's Fatelessness, and Benigni's La vita è bella" by Bettina von Jagow, "Imre Kertész's Fatelessness as Historical Fiction" by Julia Karolle, "Reading Imre Kertész in English" by Adrienne Kertzer, "Imre Kertész's Fatelessness and the Myth about Auschwitz in Hungary" by Kornélia Koltai, "The Historians' Debate about the Holocaust in Hungary" by András Kovács, "Imre Kertész and Hungary Today" by Magdalena Marsovszky, "Imre Kertész's Aesthetics of the Holocaust" by Sára Molnár, "The Dichotomy of Perspectives in the Work of Imre Kertész and Jorge Semprún" by Marie Peguy, "Imre Kertész and the Filming of Sorstalanság (Fatelessness)" by Catherine Portuges, "Danilo Kis, Imre Kertész, and the Myth of the Holocaust" by Rosana Ratkovćić, "Imre Kertész's Jegyzıkönyv (Sworn Statement) and the Self Deprived of Itself" by Tamás Scheibner, "Imre Kertész's Kaddish for an Unborn Child" by Eluned Summers-Bremner, "Imre Kertész's Nobel Prize in Literature and the Print Media" by Steven Tötösy de Zepetnek, "Holocaust Literature and Imre Kertész" by Paul Várnai, "The Novelness of Imre Kertész's Fatelessness" by Louise O. Vasvári, and "The Media and Imre Kertész's Nobel Prize in Literature" by Judy Young. 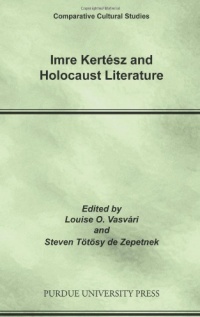 In addition to the papers about Kertész's work, the volume includes an as of yet in English unpublished text by Imre Kertész, "Galley Boat-Log (Gályanapló): Excerpt(s)" translated by Tim Wilkinson, a review article about books on Jewish identity and anti-Semitism Central Europe by Barbara Breysach, and a "A Bibliography of Imre Kertész's Oeuvre and Publications about His Work" by Steven Tötösy de Zepetnek. The volume's thematic bibliography is available also online: "Bibliography of Imre Kertész's Oeuvre and Publications about His Work." 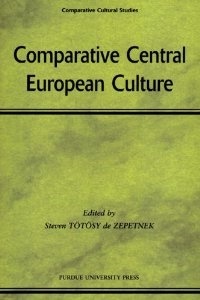 Comparative Central European Culture contains selected papers of conferences organized by the editor, Steven Tötösy de Zepetnek, in 1999 and 2000 in Canada and the U.S. on various topics of culture and literature in Central and East Europe. Based on the (contested) notion of the existence of a specific cultural context of the region defined as "Central Europe," contributors to the volume discuss comparative cultural studies as a theoretical framework for the study of Central and East European culture(s) (Steven Tötösy de Zepetnek), modernism in Central European literature (Andrea Fábry), Central European Holocaust poetry (Zsuzsanna Ozsváth), gender in Central European literature and film (Anikó Imre), Austroslovakism in the work of Slovak writer Anton Hykisch (Peter Petro), Kundera and the identity of Central Europe (Hana Pichova), public intellectuals in Central Europe after 1989 (Katherine Arens), contemporary Austrian and Hungarian cinema (Catherine Portuges), the notion of peripherality in contemporary East European culture (Roumiana Deltcheva), and Central European Jewish family history in the film Sunshine (Susan Rubin Suleiman). 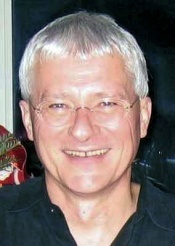 The volume includes a bibliography for the study of Central European culture (Steven Tötösy de Zepetnek). 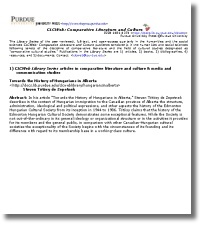 See also "Selected Bibliography for the Study of Central and East European Culture." describes in the context of Hungarian immigration to the Canadian province of Alberta the structure, administration, ideological and political expressions, and other aspects the history of the Edmonton Hungarian Cultural Society from its inception in 1944 to 1986. Tötösy claims that the history of the Edmonton Hungarian Cultural Society demonstrates some exceptional features. While the Society is not out-of-the-ordinary in its general ideology or organizational structure or in the activities it provides for its members and the general public, in comparison with other Canadian-Hungarian cultural societies the exceptionality of the Society begins with the circumstances of its founding and its difference with regard to its membership base in a working-class culture. [Download the article] for FREE! About Prof. Steven Tötösy de Zepetnek, Ph.D.
AHF member Steven Tötösy de Zepetnek has published much in the area of comparative literature and cultural studies including Hungarian studies. He taught at the University of Alberta 1984-2000 and residing in Boston since 2000 he works at Purdue University. 200+ articles in peer-reviewed journals and also publications in Chinese, French, German, Greek, Hungarian, Italian, Macedonian, Marathi, Polish, Portuguese, and Spanish translation. Tötösy de Zepetnek is editor of the Purdue UP humanities and social sciences quarterly CLCWeb: Comparative Literature and Culture and series editor of the Purdue UP monograph series of Books in Comparative Cultural Studies. [Click here] to see his list of publications and academic activities.